Wisconsin progressives won an important state legislative special election last night in Senate District 1, with the victory of Democrat Caleb Frostman. Frostman was endorsed by Citizen Action of Wisconsin, a People’s Action affiliate. 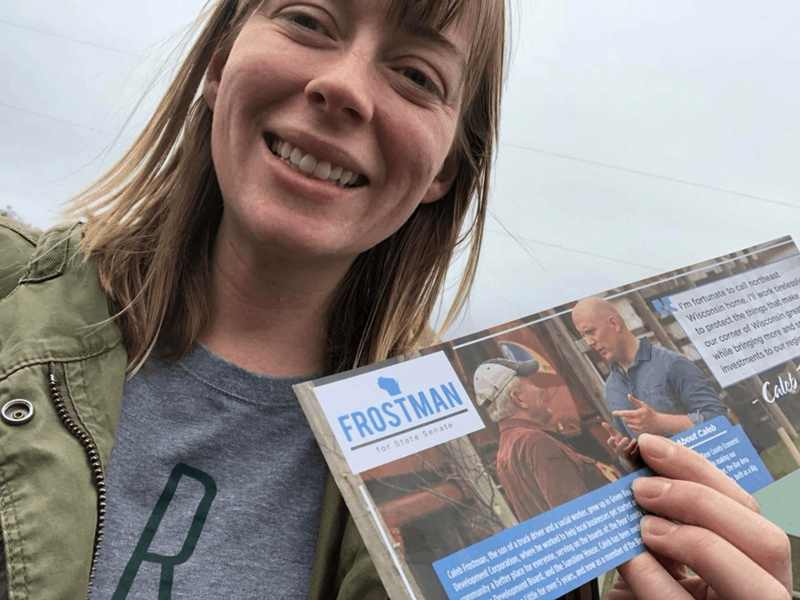 Members of Citizen Action’s Northeast Organizing Cooperative volunteered on phones and doors in support of Frostman. Not only does Frostman’s victory flip the seat from Republican to Democrat, it is a rebuke from voters to Wisconsin’s GOP Governor Scott Walker, who refused to hold an election to fill the vacancy before May, as required by state law. The National Redistricting Committee, let by former Attorney General Eric Holder, successfully sued to force Walker to hold the election. The SD 1 victory comes in a district Donald Trump won by 17 percent. This is a 21 point swing towards Democrats in Green Bay, one of the most crucial swing media markets of the state. The victory also means a progressive majority in the Wisconsin State Senate is in play this fall, as progressives will only need to pick up 2 of the 5 Republican targets this fall to retake the majority. There are 29 Republican held assembly seats that are similar or more favorable Dem performance than SD 1.